As feared, things have exploded the last hour. 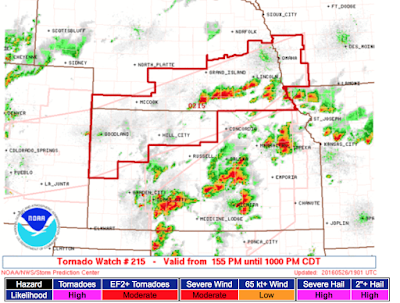 Let's run down each tornado watch. 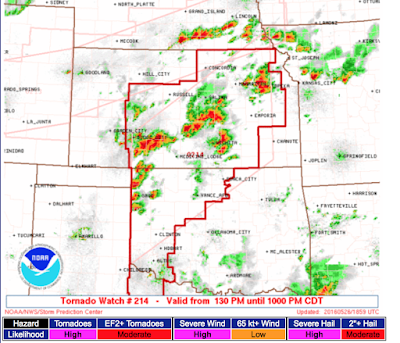 The watch dead center in the country has a high risk of tornadoes, large hail and damaging winds as well as a "moderate" risk of violent tornadoes. 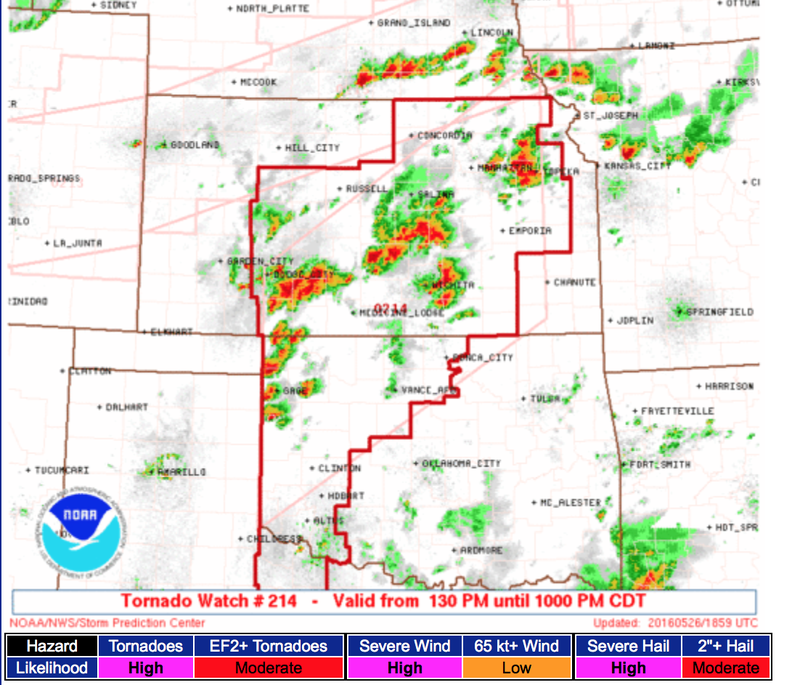 The next watch, to the north, is similar although there is a "high" risk of giant hail. 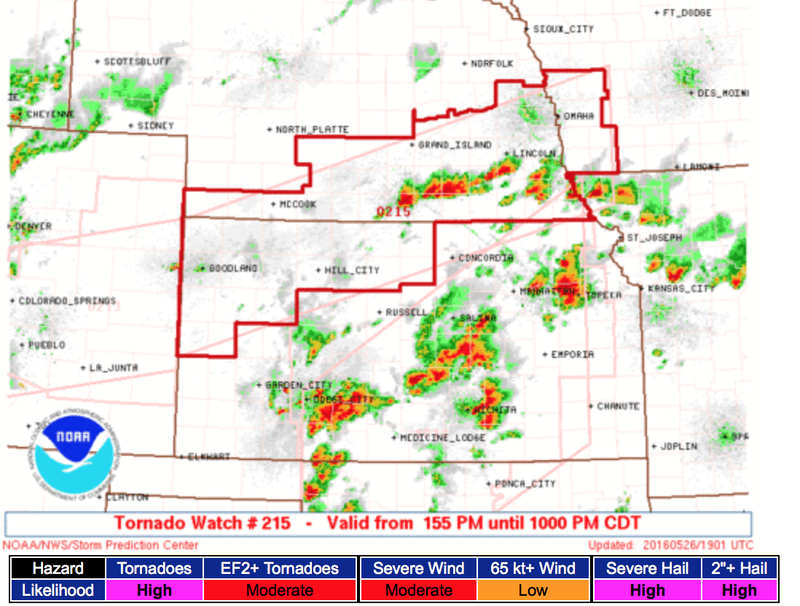 And, for the moment, the last tornado watch in effect, is for Colorado. The threat -- while significant -- is not quite as great. I no longer live-blog storms. Please, if you live in these areas, keep an eye on your local weather and make sure that you take cover if a tornado warning is issued.